It seems like everyone is obsessed with bacon lately, doesn’t it? I don’t quite get it – I mean, I like bacon as much as the next gal, but I don’t know that I think it’s the best food in the world or anything. That being said, I do love a good BLT! 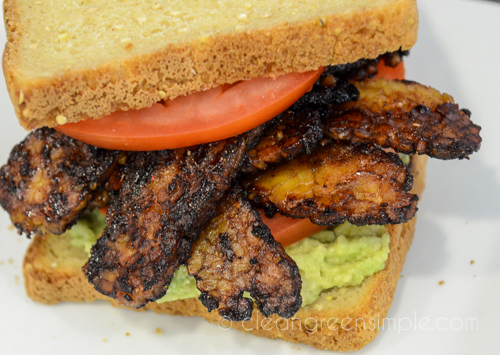 This vegan BLT recipe definitely fills that craving. You’re not going to be passing this stuff off as real bacon, but it’s got a great smoky, salty, crunchy thing going on that works really well on a sandwich, and could also be great crumbled over a salad or next to a tofu scramble. 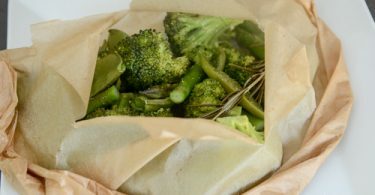 First you need to slice some tempeh up as thin as you can – I slice mine down the long side and then cut it in half, but it doesn’t really matter, just depends on how long you want your slices to be. That’s it! To make a BLT just spread some mayo on bread and then add slices of tomato, lettuce, and some fresh avocado if you’re feeling feisty. 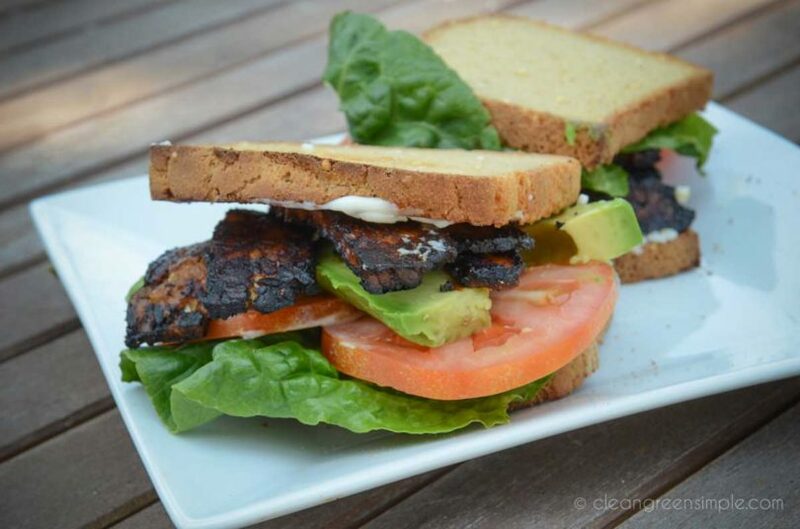 Vegan BLT with Sautéd Tempeh "Bacon"
Pour tempeh and all of the marinade mixture into a skillet over medium-high heat and sauté for 5-10 minutes per side until liquid has evaporated and tempeh is blackened and crunchy. Serve immediately. To make a BLT, add mayo, lettuce, and tomato to sandwich bread - avocado is also great! 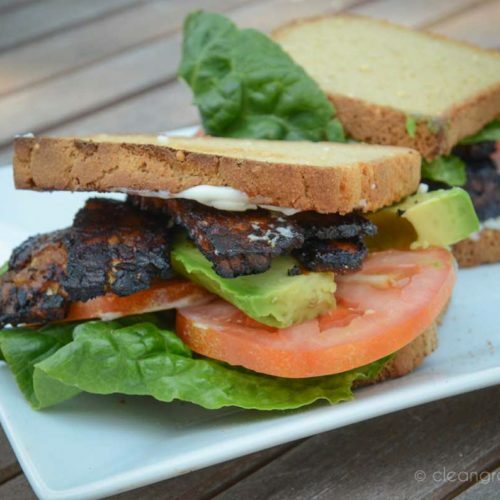 I haven’t had tempeh in a really long while…the BLT sandwich looks mouthwatering. Looks good. I make this many times and enjoy it with avocado, tomato and lettuce on Gunter’s home made bread. Check out The Tempeh girls on facebook. Joy put up a picture of our latest creation which is black chana tempeh that everyone loved. Feel free to write with any questions/comments. 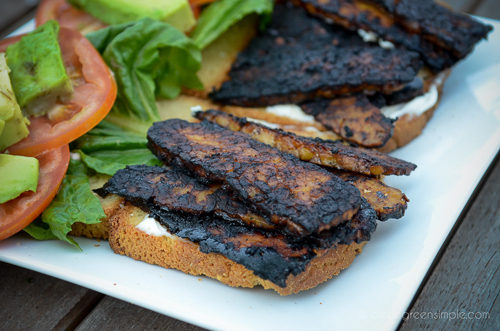 I am interested in cooking with Tempeh, but in your picture the tempeh looks charred black. Isn’t that carcinogenic? It doesn’t have to get that black to the get the flavor I hope? 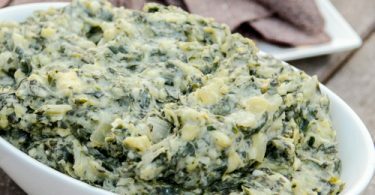 I am looking into entering a mostly vegetarian life-style and although I am interested in tempeh, I wonder if meat-eaters like my husband and son would eat it. Thanks. 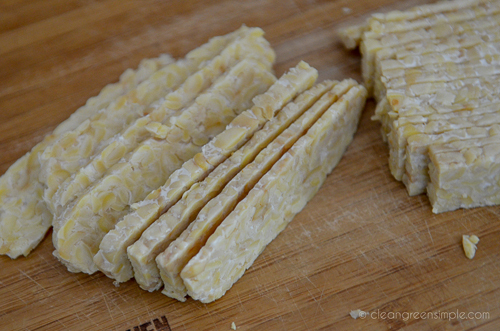 Mmm, I love tempeh! But, I am so with you on the bacon thing. 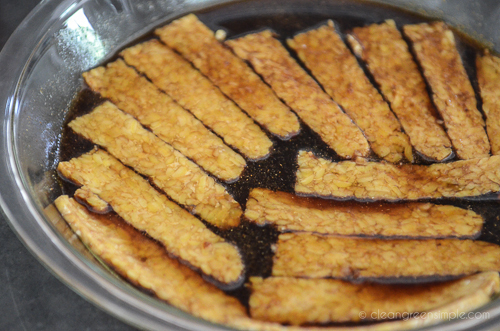 I loved bacon, it is so tasty, but I really find tempeh bacon to be just as good. I might go a step further and add avocado!